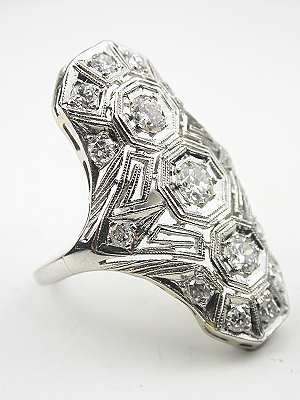 An Art Deco antique filigree ring demands attention with its hand wrought mounting and elongated filigree design. 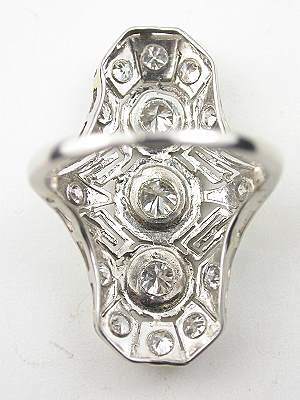 The North-South setting of this antique cocktail ring gives it distinctive flair. 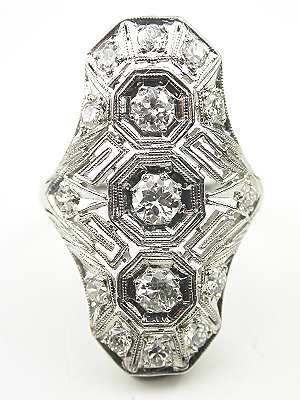 A trio of old style round brilliant cut diamonds cascades down the center of this platinum intrigue. 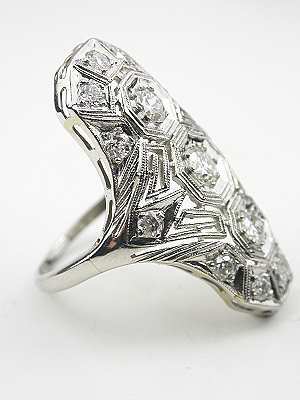 An additional twelve old style round full cut diamonds are sprinkled throughout. 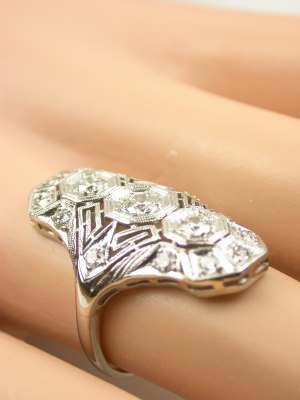 The combined weight of all the diamonds, which range in color from G to H and clarity from VS1 to SI2 is 0.85 carats. Circa 1930 or later.